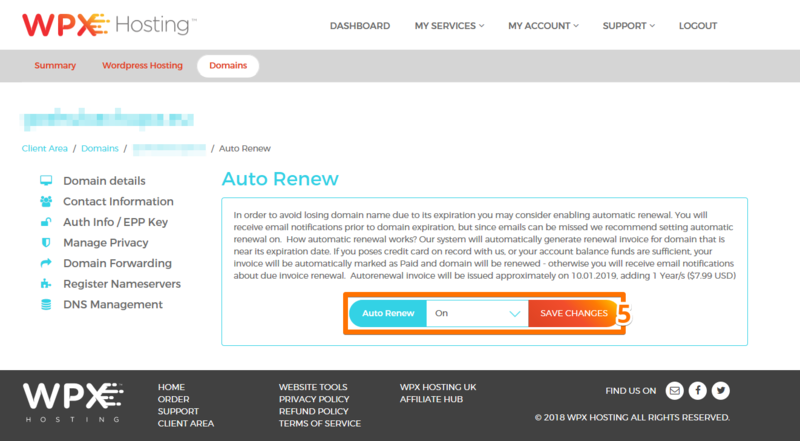 If you buy a domain from WPX Hosting, Auto Renew will be enabled by default. When your domain is nearing its expiration date, you will receive automatic system emails to remind you. These reminder emails will arrive in 10-day intervals (50, 40, 30, 20, and 10 days ahead), with the final reminder email arriving 5 days before the renewal date. To find out more about Domain renewal, as well as what happens after expiration, read this article. If you cancel Auto Renew after the invoice has already been created, the invoice will not be cancelled. Please contact our Support Team to do this for you. If you do not want to renew your domain, please disable Auto Renew 8 days prior to your renewal date at the very latest (to avoid receiving a pro forma invoice)! If Auto Renew is not disabled in time and a pro forma invoice has already been created, disabling Auto Renew will only prevent future invoices. How do I control Auto Renew? 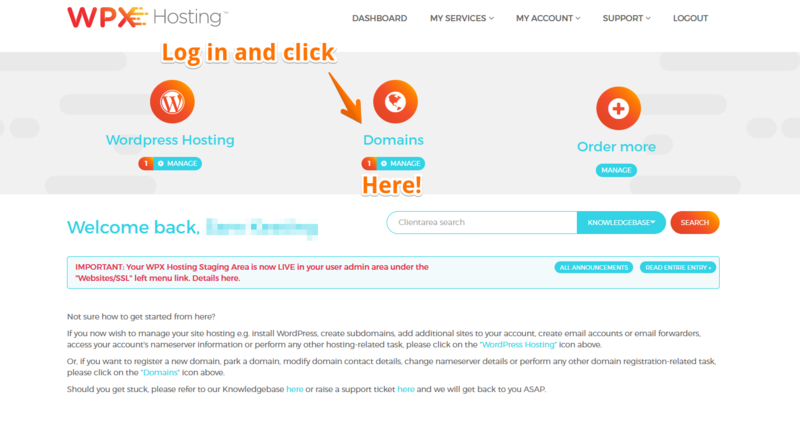 Here is a guide to demonstrate how to set Automatic Domain Renewal on (or off). 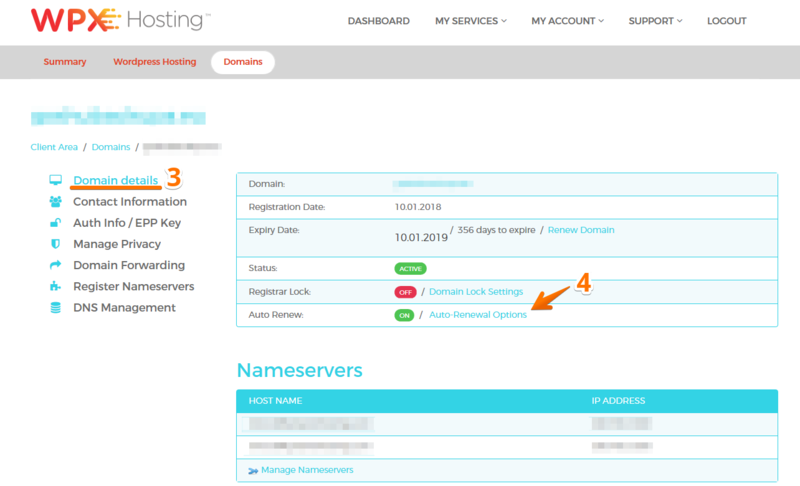 This is the Auto Renew menu, here you will see a brief explanation of domain renewal and expiration as well as the On/Off selection at the bottom. By default, all domains have Auto-renew enabled automatically. Please bear in mind however, that Auto-renew will generate an invoice automatically but your domain will not be renewed until this invoice has been paid. This invoice will ONLY be paid automatically IF your account's saved Credit Card is valid and has sufficient funds. Otherwise, you must pay the invoice manually; only after paying this invoice will the chosen domain be renewed. Note: Your PayPal subscription cannot pay your domain renewal invoice automatically. That’s it! Your domain will now send a renewal invoice automatically. Remember, if you have sufficient funds in your account balance, or a Credit Card on record, your invoice will be marked as Paid. More about domain renewal process, head over to our WordPress hosting in the UK (visit our website here). Learn more about our service policy and our support in New Zealand. Check out our service in Australia. Extra info about our hosting in Germany. Did you know about our WordPress hosting in Brazil?